The 80/20 rule is one of the most helpful concepts for life and time management. 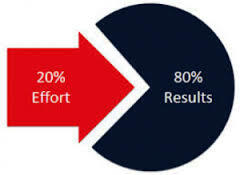 According to this principle: 20 percent of your activities will account for 80 percent of your results. It can change the way you set goals forever. The 80/20 rule is also called the “Pareto Principle” named after it’s founder, the Italian economist Vilfredo Pareto from 1895. He noticed that people in society seemed to divide naturally into what he called the “vital few,” or the top 20 percent in terms of money and influence, and the “trivial many,” or the bottom 80 percent. Later, he discovered that virtually all economic activity was subject to this principle, in that 80 percent of the wealth of Italy during that time was controlled by 20 percent of the population. We can take Pareto’s 80/20 rule and apply it to almost any situation. In particular, we can apply it to goal setting and productivity. If you have a list of ten items to accomplish, two of those items will turn out to be worth more than the other eight items put together. The sad fact is that most people procrastinate on the top 10 or 20 percent of items that are the most valuable and important, the “vital few,” and busy themselves instead with the least important 80 percent, the “trivial many,” that contribute very little to their success. Here’s what you should do in order to effectively apply the 80/20 rule to goal setting and to your overall productivity. First, take a piece of paper and write down ten goals. Then ask yourself: If you could only accomplish one of the goals on that list today, which one goal would have the greatest positive impact on your life? Then pick the second most important goal. What you’ll find is, after you complete this exercise, you will have determined the most important 20 percent of your goals that will help you more than anything else. You should continue to work at those goals that you’ve chosen as the most valuable all the time. 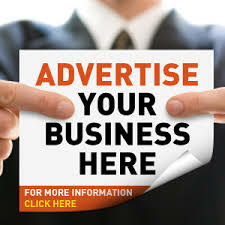 You often see people who appear to be busy all day long but seem to accomplish very little. This is almost always because they are busy working on tasks that are of low value while they are procrastinating on the one or two activities that could make a real difference to their companies and to their careers. The most valuable tasks you can do each day are often the hardest and most complex, but the payoff and rewards for completing them can be tremendous. The rule for this is: resist the temptation to clear up small things first. If you choose to start your day working on low-value tasks, you will soon develop the habit of always starting and working on low-value tasks. Finally, I want to tell you about a study that has just been done about the attitudes of rich people versus poor people in regard to goal setting. What they found is that 85% of rich people have one big goal that they work on all the time. So, if you want to be wealthy, do what wealthy people do. Pick one big goal and work on it all the time, and if you do, it will change your life.